Streamlined cloud data enables access and utility from anywhere. Logistics managers focus on mobility, or quite literally, on movement. The term logistics suggests the interrelation of moving entities. The more agile one is, the better able to harness these moving entities. Indeed, in the context of logistics, the only quality that is more desirable than agility is ubiquity – the quality of being everywhere at once. On the flip side of the logistics coin is the quality of being fixed. The enemy of the logistics manager, dispatcher or driver is that of being stationary. Whether due to limited time, ability, or resources, being anchored means that inventory is not being delivered. The locking of even one link in the supply chain sends shockwaves through the rest of the chain, impacting stakeholders from wholesaler to transporter to retailer. Of course, not all roadblocks are literal. Some of the most devastating barriers to movement are actually digital, a primary culprit being the otherwise unassuming local data server. Local data servers may house volumes of information, but if there is a breakdown in even one server, the transfer of all that beautiful information can be limited or halted altogether. If only there were some sort of ubiquitous method of streamlining and storing data, right? A medium that is not limited to a single location. A medium that seemingly floats, intangible, out of reach of power outages and coffee spills. Something like … a cloud? Cloud computing, and specifically, cloud storage, has become commonplace in consumer environments. Nothing surprising there. 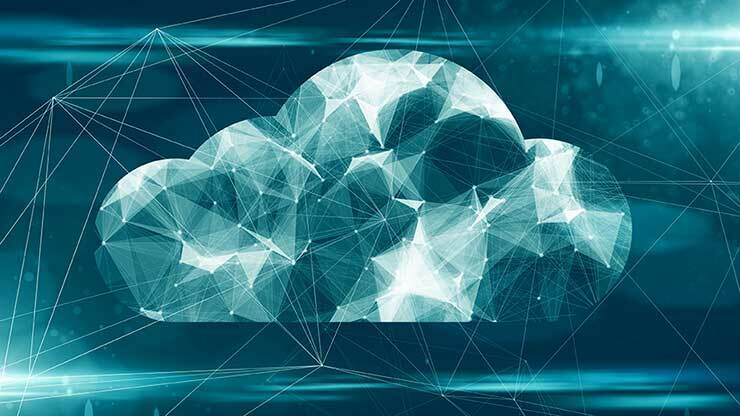 But the reliability, flexibility, and sheer availability of the CLOUD has improved so much in recent years that it is now not only acceptable, but downright desirable for use in business environments as well; and particularly, in logistics management. But why is this once novel technology becoming the norm for wholesale, logistics, and retail businesses? A streamlined data management system that resides in the cloud rather than on a finite, localized server is not limited to the throughput of your office wiring or the limited bandwidth of your aging server. Nor is it limited to the walls of your building. Such a data management system is readily accessible, serving up the latest, most reliable information to dispatchers and drivers alike. In. Real. Time. Whether your company requires live tracking, dynamic geofence configuration, event-based alerts, or engine diagnostic reporting, a streamlined, cloud-based data management system is going to deliver. Throw in the simplicity of a web-based interface, and you can’t go wrong. The data needs of today’s transport companies are increasing exponentially. Consider the amount of data that needs to be retained for a single transaction. Depending on the size of your outfit, that amount may be small or great, but when that data is multiplied throughout the day, every day of the week, every week of the year, for years, even the smallest outfits have need for significant data storage. Enter cloud storage. Not only is it readily available, but it can house terabytes of information safely, with ease. Physical servers are expensive, but the expense goes well beyond the server itself. Large servers require special treatment – they even get their own rooms, complete with air conditioning that comes up through the floor itself and miles and miles of cable. And that electric bill! Data storage in the cloud on the other hand is becoming cheaper and cheaper. Add to that the benefits of forgoing all of the paper that was once used to record your company’s many transactions (see previous paragraph), and the savings involved in a cloud-based data management system becomes a no-brainer. While your data may reside in the cloud, it is by no means out of your hands. To the contrary, real-time information transfer can be utilized readily and in a variety of situations. Looking to analyze driver behavior data? Utilize historic and current information as well as local and industry norms in your evaluations of driver speed, braking, and idling. Or maybe it’s vehicle information you need, such as vehicle operation, usage, and maintenance including fuel consumption and IFTA? Utilize your own company’s data or leverage that of the larger fleet management community instantly. Data in the cloud is not intended to be packed away, never to be used again. A streamlined data management solution empowers all members of your organization to work with essential data points. In. Real Time. Don’t just track your vehicles. Determine the best, most efficient routes. Identify trends and areas where mileage can be reduced. Do more in the same amount of time, while reducing fuel consumption in the process. And when you’re ready, you can integrate fleet-tracking data with other automation solutions to create an end-to-end system that promotes efficient processes from order to fulfillment. A streamlined data management solution is more than a novelty. It’s an essential business development tool that maintains the integrity of your data and is readily accessible so it can be utilized for processes big and small. In. Real. Time. With the process improvements you’ll make by implementing a streamlined, cloud-based system, you’re sure to see a reduction in operational costs and improvements in operational efficiency. Talk to your PDI representative today about a cloud-based solution that can help you better manage all of your logistics needs.